By expanding the charitable component from one candle to the entire Blue Garden Collection, we will be able to contribute much more to our quest to better understand autism and find answers. 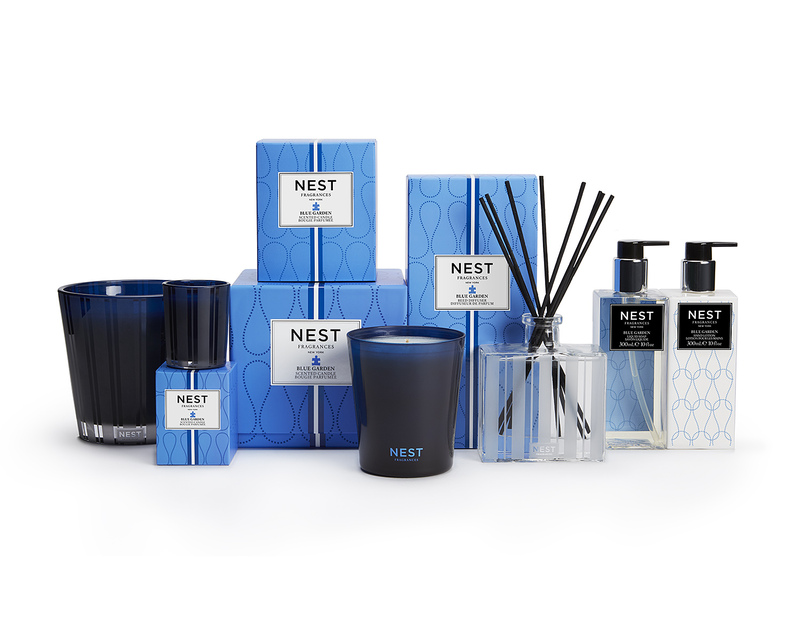 In recognition of Autism Awareness Month starting April 1, NEST Fragrances today announced its newly expanded Blue Garden Home Fragrance Collection will benefit Autism Speaks, the world’s leading autism science and advocacy organization. What began in 2010 as one scented candle designed to commemorate the fifth anniversary of Autism Speaks and raise awareness and funds for autism research, Blue Garden has since blossomed into a complete collection of six home fragrance products available for purchase year-round, including a new Three-Wick Candle and Votive Candle debuting this month. NEST Fragrances has raised more than $241,000 for Autism Speaks by donating 10-percent of the retail price of each Blue Garden Classic Candle sold since its debut in February 2010 through December 31, 2015. Blue Garden is a modern-floral fragrance that blends blue hydrangea, hyacinth and forget-me-nots accented with fresh green notes and a dewdrop accord. Effective January 1, 2016 – in addition to the original 8.1 Oz. (203 g) Blue Garden Classic Candle for $40 – NEST Fragrances will donate 10-percent of the purchase price of every Blue Garden product sold to Autism Speaks, including a new Votive Candle, 2 Oz. (57 g), $16; new Three-Wick Candle, 21.2 Oz. (601 g), $64; Reed Diffuser, 5.9 Fl. Oz. (175 mL), $42; Liquid Soap, 10 Fl. Oz. (300 mL), $22; and Hand Lotion, 10 Fl. Oz. (300 mL), $24. All prices SRP. To further celebrate Autism Awareness Month, NEST Fragrances also announced an exclusive partnership with Bloomingdale’s to raise awareness and funds for the Child Mind Institute, an independent nonprofit dedicated to transforming the lives of children and families struggling with mental health and learning disorders. During the month of April, Bloomingdale’s and NEST Fragrances will support the Child Mind Institute with a grant from Autism Speaks generated from sales of the NEST Fragrances Blue Garden Collection at the following select Bloomingdale’s locations: 59th Street; Boca Raton; Aventura; Medinah; Palm Beach Gardens; Chestnut Hill; White Plains; San Francisco; Roosevelt Field; Sherman Oaks; Chevy Chase; and South Coast Plaza; as well as Bloomingdales.com. To support this initiative, Laura Slaktin will make a personal appearance tomorrow, April 1, 12:30-2:30 p.m., at the Bloomingdale's 59th Street store, and April 7, 12:30-2:30 p.m., at Bloomingdale's Palm Beach Gardens, 3105 PGA Boulevard, Gardens Mall, Palm Beach Gardens, Fla.
NEST Fragrances is a leading designer, manufacturer and marketer of luxury fragrances for the bath, body and home. Founded in 2005 by fragrance authority Laura Slatkin, today NEST Fragrances produces more than 20 home fragrance collections consisting of luxury scented candles in several sizes, reed diffusers, liquid soap and hand lotion. In 2012, the company launched the NEST Fine Fragrances Collection, which today consists of eight fragrances available in eau de parfum sprays and roller balls and luxury body cream. NEST Fragrances products are sold primarily in North America through a growing wholesale customer network of luxury specialty department stores, beauty product stores, boutique stores and spas, and the company’s online flagship store NESTFragrances.com.